What happened to 2016? Did the minutes/hours/days somehow speed up? While I consider my time management skills to be reasonable, I do have a few tasks intended for completion but undone. (Why is that cupboard still in its prehistoric mess?) I seem to have lost "time" somewhere. Perhaps I could reduce the amount of this precious commodity devoted to reading (no, this is needed for pleasure, and essential to nurture the imagination and to escape real life); mornings spent in cafes (important for meeting friends and researching stories--see Hot Ticket below); viewing art and craft exhibitions (appreciated for the visual joy of artistic talents); travelling (new experiences, possible story locations, again see Hot Ticket). 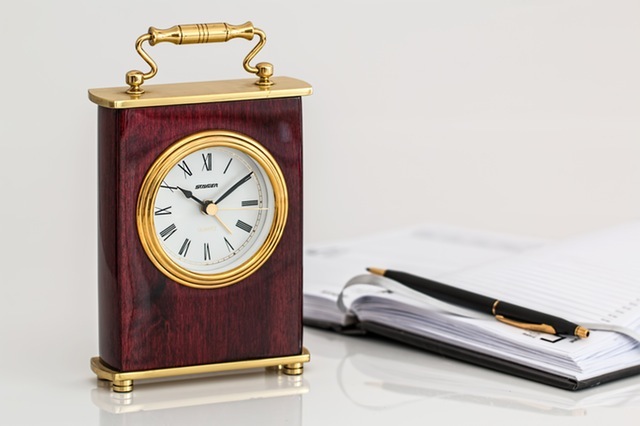 Writers are often asked "How long did it take you to write that?" My answer has to be "I have no idea". I may be able to give the year in which I commenced the actual writing of any one story, but the characters and possibly some of the plot (my plots are not complete in advance, rather they evolve as the characters develop) may have been in my head and my notebook for some time. For me, the first written sentence may not be intended as the first sentence in the novel, and almost certainly won't be the opening sentence which will eventually appear in the published work. Months zip by as the writing progresses; since I have no definite story line until I'm into the narrative, when another idea for a situation pops into my head I usually need to backtrack to foreshadow this. More time! Believe me, I have tried to change my approach, but this "make it up as I go" does work for me eventually! Having reached THE END, the manuscript lies fallow for a while; when brought to light after an unspecified period, I then subject it to a major edit which often involves fundamental changes. And this is not forgetting the time I spend on research, a task which I enjoy. Researching well-known novels and their authors, I discovered Robert Louis Stevenson wrote The Strange Case of Dr Jekyll and Mr Hyde in a six-day frenzy, followed by a few months revision. John Boyne's The Boy in the Striped Pyjamas took him two and a half days, although further drafts needed several months. Anthony Burgess completed A Clockwork Orange in three weeks, while the epic that is Gone with the Wind occupied Margaret Mitchell for 10 years. J.R.R.Tolkien needed 16 years for The Lord of the Rings trilogy, understandable since he was inventing a whole new world. PURHot Ticket at 90k words is one of my longest novels, which I'd been tinkering with for several years. I adored Olivia and Callum, "the lady and the cowboy"; they were having such fun that in a way I was reluctant to let them go. On holiday in Darwin, I found a location for the cafe where barista Callum introduces himself to Olivia by serving her a latte with a chocolate heart on top. Sadly, the charming barista at my research cafe did not put a heart on top of MY latte! Olivia and Callum's contemporary romance is available for 99 cents on Kindle Countdown Deals for these dates: Amazon.com 5-12 January; Amazon.co.uk 6-13 January. If you are celebrating New Year's Eve, have fun. And may 2017 be kind to you. As a writer, I’m used to having ideas for my books come to me in a variety of ways. Sometimes a dream will set the trigger that sends my mind racing to sort out characters, plot, subplot(s), the whats, wheres, whys, and whens. Sometimes I’ll read something that sparks the imagination. Most of the time, I take months—even years—to let the idea germinate before I begin the preliminary work, the research, exploring appropriate character and place names and settings. Usually I don’t start the actual writing until my mind begins to bubble over, no longer able to contain the story. By this time, I can’t stop myself from hitting the keyboard, often writing away for countless hours at a clip, unaware of the passage of time. But never in all my years have I been presented with a concept and been forced to come up with a story based on a theme. All that changed when Jude Pittman, the publisher of Books We Love, asked me to participate in an exciting new project now known as “The Canadian Historical Brides” series. 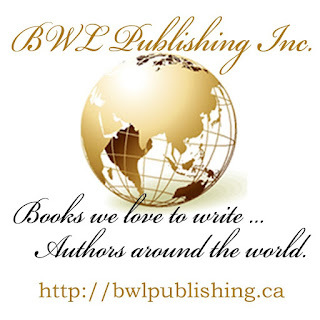 My writing partner for the project, BWL Canadian author Ron Ady Crouch, and I tossed some ideas back and forth. We did some reading and preliminary research, settling on an idea only to toss it aside for any number of reasons before agreeing on another period in history. 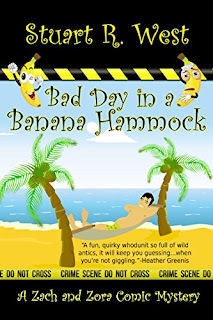 Neither of us had ever worked before with another writer, and Ron, who specializes in contemporary mystery and suspense, had never written a historical. We soon found ourselves steeped in information-gathering. An overwhelming prospect for one who’d never taken on anything like this before. For me, it was eye-opening. Yes, I LOVE research and expanding my knowledge of history almost as much as the writing itself. I like exploring old books, journals, maps, first- and secondhand accounts of events, and now the internet, which is a gold mine of reference materials. I like imagining how life was lived in times past and the places they lived it in, going to historical sites and reenactments and asking questions of the docents and participants. I live for the inspiration, the way my mind runs with images and facts, and how these in turn lead to plot twists and character development. The period we chose is one I feel very close to, having set most of my books during the mid-eighteenth century and the American Revolution. I’ve felt an affinity toward this time period since childhood. From grade school on, I had ideas drummed into my head about the foundation of my country and the ideals and philosophies that were at its core. The Patriot cause was noble and idealistic, its heroes and heroines idealized, sometimes to the point of being mythologized. Only this time it’s different. Our project is from the point of view of another side: the Loyalists, those “Americans” who chose to maintain their allegiance to the King of England. Especially those who were forced by circumstance (and often in the face of extreme bias and even violence) to leave everything—their lives, friends, families and homes—and migrate to Canada. 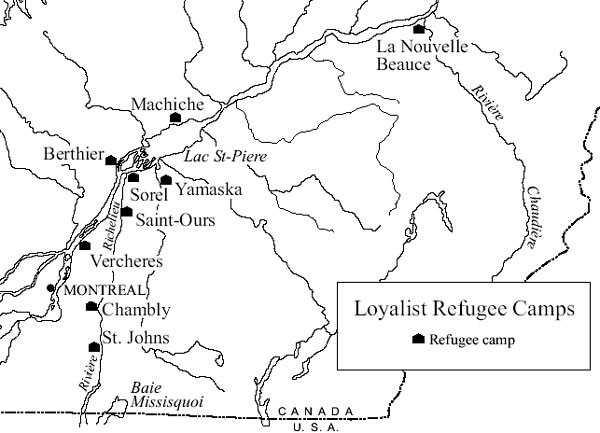 Our story is about a courageous young woman and her family, who make a perilous trek through the wilds of the colonial frontier, suffering loss and privation en route to the British stronghold on the outskirts of Montreal, and eventually being reunited with the man she loves. The story is both timeless and timely. How does one put aside a lifetime of information, attitudes, and knowledge, and approach it from the other perspective? One thing I learned as student of drama (I received an MFA in acting many eons ago) is that when playing the role of a “villain” you must never for a moment think of the character in those terms or you risk having your portrayal reduced to a stereotype at best; at worst, it’ll be a shallow and lifeless performance. And so began the effort to shake a lifetime’s worth of attitudes and “facts” and to immerse myself in the Loyalist mindset. In researching our story (as yet untitled), I am reminded of the old adage that history is written from the vantage point of the victors. And here in the U.S., that is what we read in our social studies (anyone remember social studies?) and history classes throughout our formative years. Finding a wealth of sources from another perspective has been a revelation. Also, when delving into the study of a certain historical period, it’s just as important to travel further back in time to gain a deeper understanding of the people and events that came to shape our story's “present.” I’ve learned a lot more about Canada’s rich past than I’d originally dreamed, but such is the lot of us history fanatics when we get caught up in an intriguing narrative. And now, with a new understanding and appreciation of these exiles and the hardships they endured to leave one life behind and begin anew in a wild and unsettled wilderness known as Canada, Ron and I are raring to go. We have high hopes that this story will entertain as it educates. Stay tuned for updates as we forge ahead. 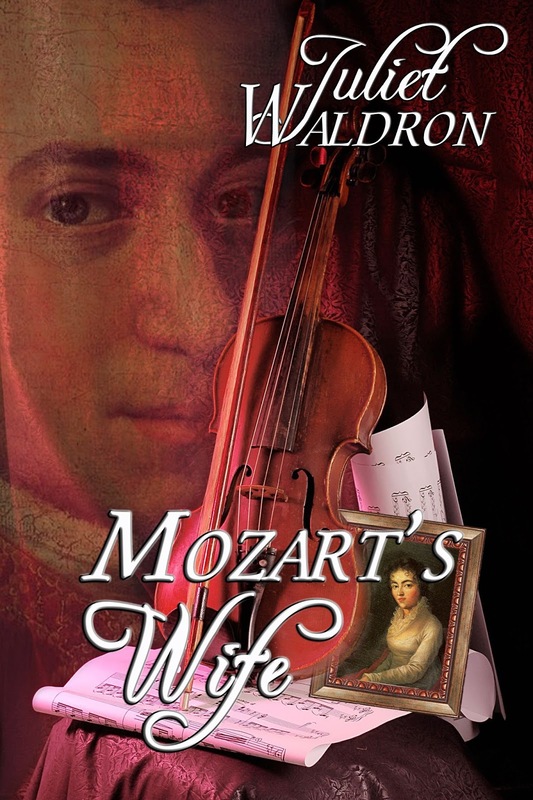 And do check out the new Canadian Historical Brides blog, where details of this story, and the other exciting books in the series, will be posted on a regular basis. There are a host of powerful women in the Iroquois mythic system: sky woman, the creatrix, grandmother moon—and the three sisters—who fed the tribes with their bodies: corn, beans, squash. Many societies have powerful goddesses, but for the Iroquois, this also translated into a tradition of strong and respected women in every village. 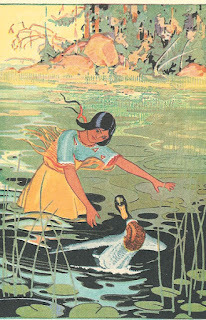 The Iroquois had a matrilineal descent system, and this raises the status of women. The tribes that made up the Iroquois confederation were divided into clans. A simple illustration: if your mother was of the turtle clan, then so are you. If you are female, your children will also belong to turtle clan. If you are male, your children will belong to the clan of their mother—who might be wolf, deer, beaver, etc.--but never turtle, as these are considered to be your relatives. The leading woman of each clan was called clan mother. For governance, clan mothers were entitled to appt. A certain number of chiefs. The clan mothers could also depose their appointees, if they disapproved of his choices. Culturally significant white wampum belts indicating hereditary titles of chiefs were kept by women—titles passed not father to son but to brothers or to sister’s sons. The clan mothers, through a man they chose, could always make themselves known in council. The Indians found it odd that the whites did not consult their women about decisions which would affect the entire community. The Iroquois had a complex system of chiefs. There were war chiefs, who were, as the name implies, generally young men of demonstrated valor--winners of battles. There were sachems, who were the older men—representing the wisdom that comes with years. 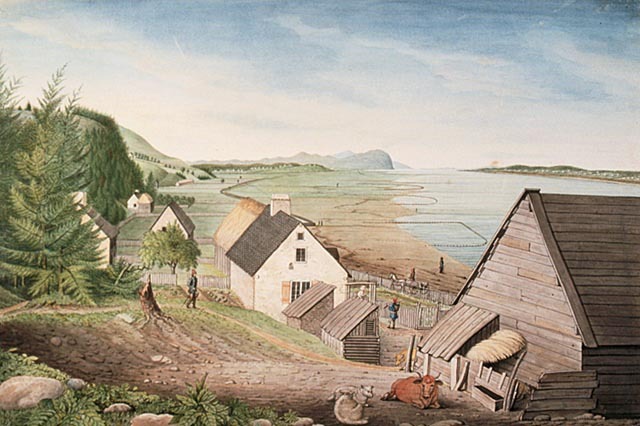 There were only a few hereditary chiefs, whose appointment was in the hands of the clan mothers. On more than one occasion the clan mothers are known to have cast the deciding vote, blocking treaties or warparties. There are many stories about Iroquois women refusing to supply warparties with the moccasins and pemican (charred corn and maple sugar)—that was needed for a successful expedition. Then as now, you can’t wage war without supplies. The clan mothers often sided with the old men, the sachems, laying a restraining hand on the enthusiasm for adventure of the young chiefs. There are examples from historic times of strong Iroquois women acting as the tribes’ decision makers. 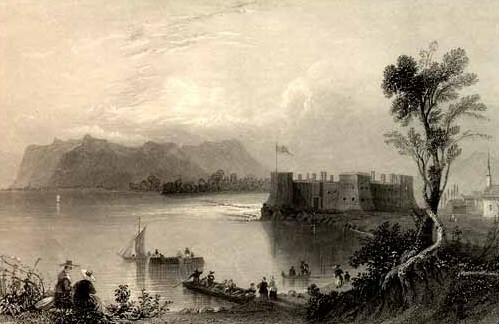 Mary brant was a clan mother, and also widow of Sir William Johnson, the British emissary to the Iroquois during the late colonial period. She held her tribe to the British side during the revolution. Sir William was not the only well known historical figure to have made an important alliance with a powerful native woman…major general Philip Schuyler also had a native “wife,” Mary Hill, a Mohawk. Through her, he spread rumors about the activities of the American army. 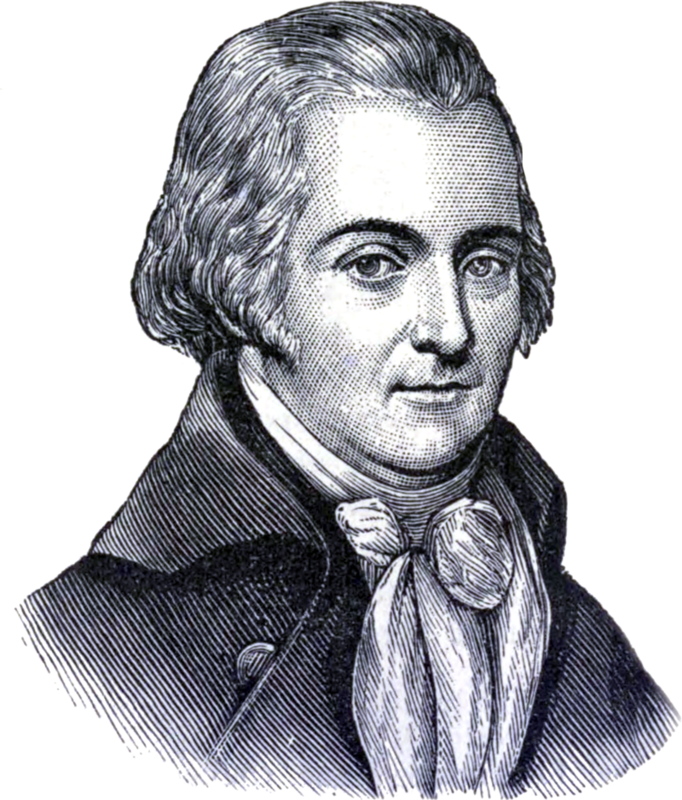 Schuyler’s “terrifiers” are mentioned several times by his British opposite, Sir Guy Johnson, in letters detailing various anti-Tory stories that were causing great fear among the pro-British tribes. Mary Brant herself soon took care of this problem, by removing the younger woman from Schuyler’s influence. She apparently persuaded Mary Hill that she was a Mohawk first, and therefore must obey the pro-British clan mothers. Perhaps an even better indicator of the high status of women among the Indians are the cases where an esteemed white woman living in Indian Territory could exercise unusual prerogatives. Because she feared the effect upon the British war effort, the Tory Sarah Mcginnis prevented a wampum belt bearing news of an American victory from leaving the village where she lived. Women held power in their villages, too. When captives were brought home, the women decided who would live, who would be adopted, who would be made a slave, and who would be offered to the fire gods. Women took active roles in torture alongside their men. Although it happened rarely, women could also be accepted as warriors, if this proved to be the calling of their heart. Even long after Iroquois power was broken, their influence was felt in interesting ways. In the 19th century, Lucretia Mott, one of the leaders of the Women’s Movement, (born in MA) spent a month with the Seneca tribe before attending the first Woman’s Rights Conference soon to be held in Seneca Falls, 1848. Native women today claim their influence can be seen in the tenets of early feminists. It has been noted by modern day activist Iroquois women that they didn’t need western woman’s lib until all their rights were obliterated by outsiders. Christianity in particular was sanctioned—probably a better word would be “enforced” on reservations by the Bureau of Indian Affairs. In the old days a woman could pack up and leave her husband if she was abused. In a matrilineal society, there a safe haven for a woman and her children always exists among the members of her clan. Oneidas, Mary Cornelius Winder and her sister Delia Waterman saved their tribe’s identity by beginning to argue the modern day Oneida land claims, instituting a suit against the U.S. government in the 1920’s that is still being litigated. Some years ago, modern day struggles within the Oneida tribe have led to suspension of Delia Waterman’s membership. Delia was a centenarian without whom there would be no Oneida nation today. "This suspension was done by the Bureau of Indian Affairs, backed by a ‘Men’s Council’—which never historically existed—in defiance of traditional Oneida law of gender equality." (Joanne Shenendoah, a noted 21st speaker for her sisters and her Tribe). 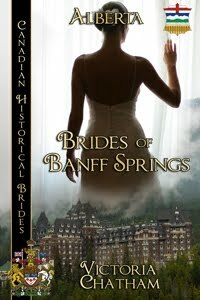 Brides of Banff Springs by Victoria Chatham is trending in the US and Canada as the first book in this exciting new Canadian historical series that tells the stories of brides and grooms from all over Canada in the year of the Country's 150th birthday. Each of the Canadian Historical Brides novels features a historical event in one of the ten provinces and three territories of Canada. The books, based on actual historical times, combine fact and fiction to show how the brides and grooms, all from diverse backgrounds, join in marriage to create new lives and build a great country. In the Dirty Thirties jobs were hard to come by. Having lost her father and her home in southern Alberta, Tilly McCormack is thrilled when her application for a position as a chambermaid at the prestigious Banff Springs Hotel, one of Canada’s great railway hotels, is accepted. Tilly loves her new life in the Rocky Mountain town and the people she meets there. Local trail guide Ryan Blake, is taken with Tilly’s sparkling blue eyes and mischievous sense of humor, and thinks she is just the girl for him. Ryan’s work with a guiding and outfitting company keeps him busy but he makes time for Tilly at every opportunity and he’s already decided to make her his bride. On the night he plans to propose to Tilly another bride-to-be, whose wedding is being held at the Hotel, disappears. Tilly has an idea where she might have gone and together with Ryan sets out to search for her. Will they find the missing bride and will Tilly accept Ryan’s proposal? For those of you that don’t know, Leia is the heroine of George Lucas’s original Star Wars trilogy. The story follows her attempts to form a rebellion against the evil Galactic Empire and bring balance to the Force. She’s an iconic science fiction character and has been hailed as a role model for young girls everywhere. Does she live up to her reputation? Let’s find out – but watch out for spoilers! NOTE: I’ll be basing my analysis off the original trilogy of movies only. · Does the character shape her own destiny? Does she actively try to change her situation and if not, why not? Leia spends most of the trilogy leading a rebellion against a thinly veiled Nazi allegory, and she plays a very active role in this. She co-ordinates battle plans, steals the schematics for the Death Star, and literally has to be dragged out of her military base when it starts collapsing around her ears. She does all this at great personal risk. She’s captured more than once, and it’s implied she’s also tortured by that weird slug thing that looks like a cross between a Dalek and a colander – but she keeps her focus on the master plan. She’s very much in control of her own destiny and the destinies of many of the other characters. Great job, Princess Leia!. · Does she have her own goals, beliefs and hobbies? Did she come up with them on her own? · Is her character consistent? Do her personality or skills change as the plot demands? Throughout the trilogy, Leia’s personality and skills both remain fairly consistent. She’s always a fiery, strong-willed character who knows her way around a blaster. Towards the end of “Return of the Jedi” she starts picking up on some of her latent Jedi abilities, but this doesn’t happen in a completely unrealistic way: she only hears Luke’s message to her, rather than suddenly developing the ability to shoot lightning from her hands. The only issue worth raising in terms of consistency is Princess Leia becomes much weaker when she’s captured. She’s perfectly capable of fighting her way out of trouble, but as soon as one of the bad guys grabs her upper arm, she’s completely powerless and all she can do is flail. However, it’s worth pointing out that when she is captured, she’s outnumbered by enemies who are much better armed than she is, so you could make a case that this is a tactical move on her part. · Can you describe her in one short sentence without mentioning her love life, her physical appearance, or the words ‘strong female character’? · Does she develop over the course of the story? Leia doesn’t really develop much over the course of the movies. While she does achieve her goals, and bring down the Empire – she doesn’t really learn anything while she’s doing it. · Does she influence the plot without getting captured or killed? Leia gets captured a lot in the Star Wars trilogy. It’s true that she manages to get captured at least once in every film, forcing some of the other characters to come and rescue her, but this isn’t all she does – a substantial amount of her screen time is devoted to making sure that the audience sees her leading the rebellion, taking charge of the other characters and just generally keeping the plot moving..
· How does she relate to stereotypes about gender? Leia relates to gender stereotypes in a really interesting way. In some ways, she’s very clearly in the role of the damsel in distress, who must depend on the male characters to save her. She’s also absent from a lot of the serious battle scenes (particularly the X-wing fights), often being placed in the rebel base, watching the attack from the sidelines. This plays into a lot of ideas that women are not capable of fighting to the same standard as men. In this respect, Leia’s character can be pretty divisive. While the positive aspects of her character in relation to gender stereotypes cannot be denied, whether she passes this round or not really depends on how much the individual viewer is bothered by her role as the damsel in distress. For my part, I think it’s worth noting that being captured by an enemy doesn’t make you weak (it just makes you a prisoner), and during her captivity she withstands torture and Sith mind games and never gives in. 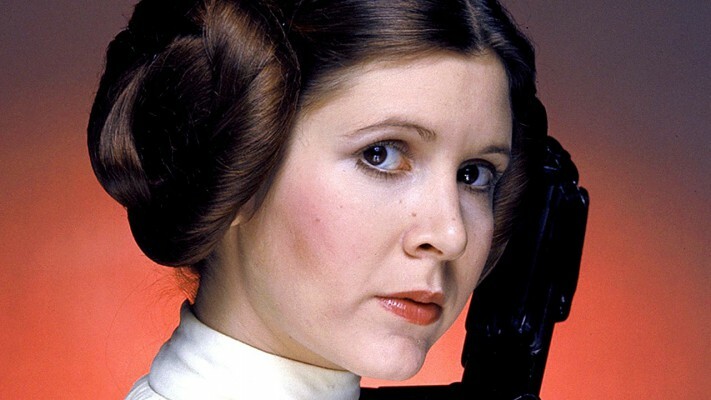 · Princess Leia has had a huge impact on popular culture. Aside from being one of the most metal princesses ever, she’s a role model that many of the young girls (have and still) look up to. While Princess might not stand up to a full-blown character analysis, but that doesn’t necessarily mean that she’s not worth analyzing at all. However, with the death of another Hollywood Start this 2016, I wonder what strong female character will take her place. She is the decisive, relentlessly courageous, ever resourceful, slyly funny Princess who saves the day for the galaxy. And thank you Carrie Fisher, you will be missed.